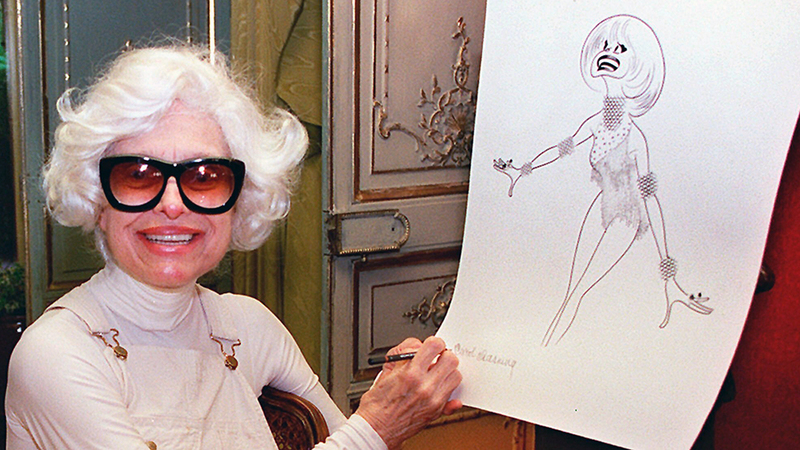 Photo by DAMIAN DOVARGANES/AP/REX/Shutterstock (10058573a) CAROL CHANNING HERSCHFELD. The actress, singer and comedienne, who starred in Gentlemen Prefer Blondes and Hello, Dolly! has passed away due to natural causes age 97. Channing walked the boards and starred on the silver screen for seven decades during her illustrious career. The Seattle-born Actress and comedienne was nominated for many awards during her career, including winning a Tony for her performance in Hello, Dolly! and a Golden Globe for her performance in Thoroughly Modern Millie, from which her iconic “Raspberries” line is taken from, as well as being nominated for two more Tony awards (plus being given the Lifetime Achievement Tony in 1995) and an Oscar in her career. However, it was not just Channing’s theatrical prowess that made her such a star, it was what she did offstage. She was a big advocate for LGBT rights during her career, and her campy appearance with the characaturesque over sized glasses and her ever-present cheesy grin, combined with her unique raspy vocal tone, made her a gay icon. She worked alongside AIDs charities until the very end. Although Channing may have passed away, her legacy still lives on.